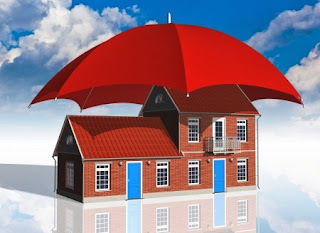 When it comes to home insurance, everyone is aware of the protection it offers to home owners. A typical insurance for homes will cover jewelleries, in case it gets lost, or stolen. It also provides insurance to rebuild homes, or replace personal property. You will also get protection against home repair costs, and other significant prized possessions of yours. But are you aware there are few other aspects that house insurance coverage throws up for you. Here is what you have at your disposal. Imagine if one fine morning you wake up and find your house damaged because some parts of a comet have fallen upon your house. Or, if an UFO (unidentified flying object), or a crashed plane wreckage lands on your house with a bang, then what happens? The home insurance policy will provide insurance against all the damage you face. What can a power outage do? The first and foremost is the fact that it spoils all the food stored inside the refrigerator. Now if that happens, it can actually spoil your day. You may have to skip your breakfast, or spend few extra dollars in a restaurant before you run helter-skelter to your office. You will be glad to know there is a protection waiting for you. You will get a certain amount to refill your empty refrigerator. Typically, some home insurance policies also offer some kind of protection against canine bites. Strangely, many may not even heard about it, but that’s the truth. When the next time your house gets damaged from unnatural sources, make sure you call your agent and ask whether your home insurance policy covers it. Pat Hoddle loves writing on savings and insurance.